Update (18th December 03:30 GMT): Updated with comment from Coinzone. BTCXchange, Romania’s only order-book bitcoin exchange, has issued a statement encouraging all users to withdraw funds from the platform by Friday, 19th December. Exchange users were asked to withdraw funds denominated in both bitcoin and US dollars due to unspecified “security reasons”. Further, it remains unclear whether the exchange plans to shut down permanently or if services could be reinstated. The service interruption is notable given that the exchange had recently partnered with e-commerce processor Netopia mobilPay to enable 6,000 retailers to accept bitcoin payments. Founded in January 2014, BTCXchange aimed to provide a destination for bitcoin traders who wanted to transact with the Romanian leu, the European country’s native currency. A representative of Bitcoin Foundation Romania suggested that BTCXchange had as many as 3,000 accounts and 50 BTC (roughly $16,000 at press time) in daily volume before the announcement. Data from Bitcoin Charts suggests this has since fallen to 3 BTC. CoinDesk attempted to reach out to the owners of the exchange through both its general email, as well as the emails of its operators. At press time, operator emails were seemingly discontinued, while messages to the support team had gone unanswered. According to statements from Netopia mobilPay, the issues at exchange will not affect its ability to allow merchants to accept bitcoin, since BTCXchange did not handle processing on behalf of retailers. Netopia mobilPay also partnered with bitcoin processor Coinzone at the time to enable this part of its service. Representatives from Netopia mobilPay declined to comment further on the exchange’s latest announcement, although they expressed optimism about their bitcoin program, as well as the prospects for bitcoin adoption in Romania. “Our plans and interest with bitcoin is bigger than ever. We want to position ourselves in the forefront of the regional bitcoin movement,” Netopia mobilPay CEO Antonio Eram told CoinDesk. One of the largest online payment processors in Romania, Netopia mobilPay has projected that it will process up to €100,000 in bitcoin payments over the first few months of service. Members of the local Romanian market also expressed their hope that the exchange closure would not have an effect on the ecosystem as a whole. 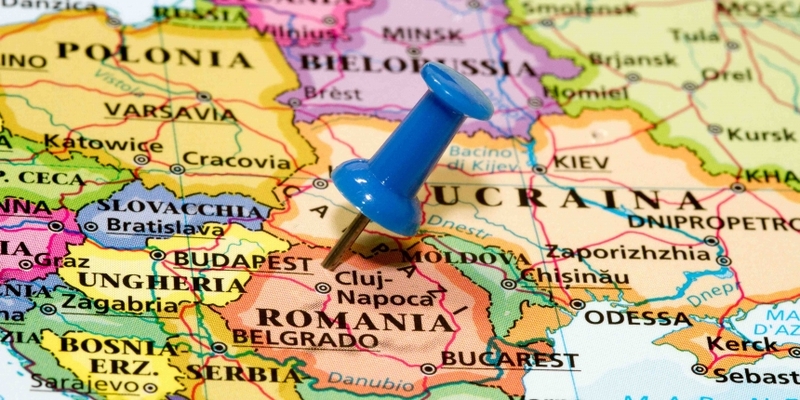 Romania is currently home to two bitcoin ATMs, according to the CoinDesk Bitcoin ATM map, as well as its own affiliated chapter of the Bitcoin Foundation and Coinzone, which also houses some of its operations in the Netherlands. Dragos Birsan, a founding member of the foundation chapter, Fundatia Bitcoin Romania, and CEO of mobile bitcoin app provider Coinfetti, indicated that he is personally pleased at how BTCXchange has so far handled the uncertain situation. “I like the fact that they are still processing orders so everybody can get their money,” he said, adding that he hopes this trend will continue until all customers have received their funds.